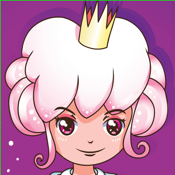 Princess's Puzzle is an addictive puzzle game. The player’s mission is to lead both a prince and a girl to the bedroom. The player must create a path with moving / adjusting tiles and use the girl to lead the prince to the final bedroom. Tiles can be moved in many different ways. The arrows and wallpaper indicates what you can do with a tile.